In this month's Southern Living Magazine I ran across the picture on the table of contents of a Peanut Butter Banana Icebox Pie, it looked so yummy I had to make it. And like all the recipes from Southern Living, it was fantastic! The ingredients alone indicated a winner! Bananas, Cinnamon Graham Crackers, Honey Roasted Peanuts, and Semi Sweet Chocolate - HECK YEAH! How gorgeous is this pie! 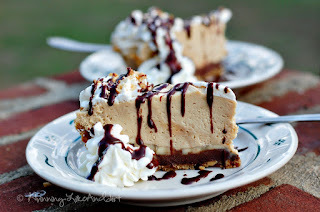 And let me tell you: the Cinnamon Graham Cracker Crust with Honey Roasted Peanuts will become my go-to crust for my Chocolate Carmel Pecan Cheesecake too! For the chocolate drizzle, I took a hand full of Semi-Sweet chocolate and a 1/4 cup of Heavy Whipping Cream, popped it in the microwave for a minute, stirred and drizzled it on with a spoon. Preheat oven to 350 degrees. Stir together first 3 ingredients; firmly press on bottom, up sides, and onto lip of a lightly greased 9-inch pie plate. Bake 10 to 12 minutes or until lightly browned. Remove from oven to a wire rack, and cool completely (about 30 minutes). Microwave chocolate and 1/2 cup whipping cream in a small microwave-safe bowl at MEDIUM (50% power) 1 1/2 minutes or until chocolate is almost melted, stirring at 30-second intervals. Whisk until chocolate melts and mixture is smooth. (Do not overheat.) Spoon chocolate mixture into prepared crust. Beat cream cheese, next 2 ingredients, and 1/4 cup whipping cream at medium speed with an electric mixer until mixture is light and fluffy. Beat vanilla and remaining 1 1/4 cups whipping cream at high speed until stiff peaks form. Fold one-third whipped cream mixture into peanut butter mixture to loosen; fold in remaining whipped cream mixture. Arrange banana slices over chocolate mixture in crust. 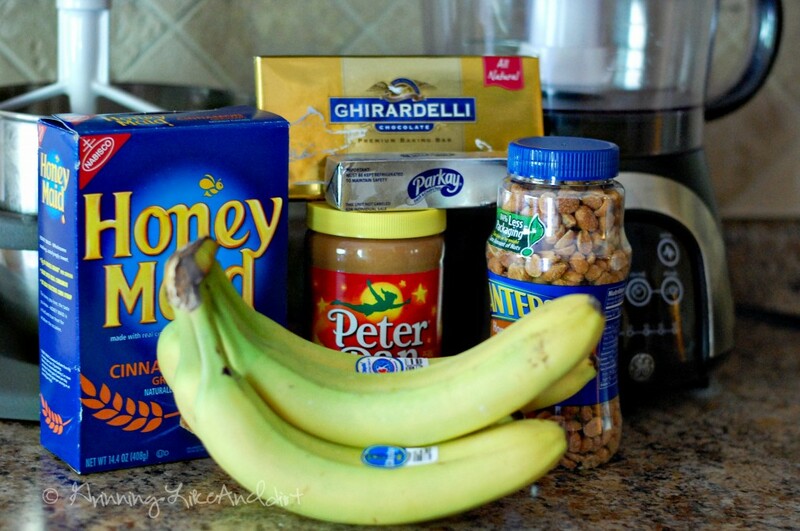 Spread peanut butter mixture over bananas. Cover and chill 8 hours. 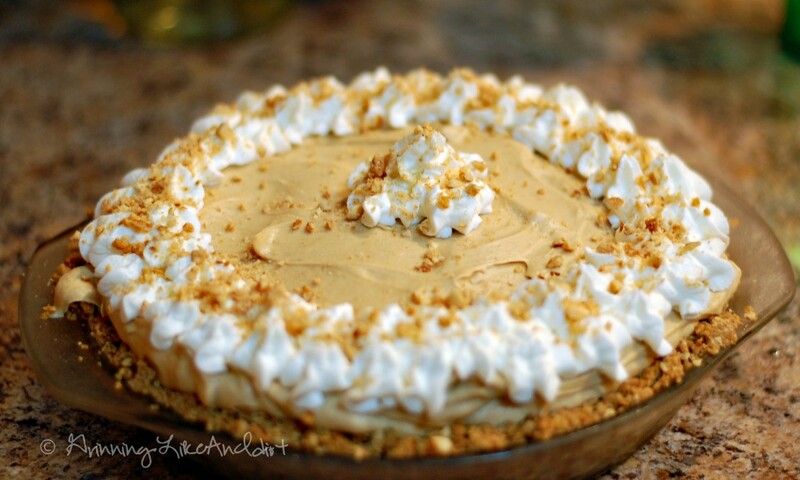 Serve pie with desired toppings.